January 22, 2019 at 4:57 pm. The Atlanta Braves have agreed to terms with free agent outfielder Nick Markakis on a one-year deal worth $4 million in 2019, with a $6 million club option for 2020. There is a $2 million buyout in place so Markakis is guaranteed $6 million. Last season, Markakis, 35, hit .297 with 14 home runs, 43 doubles and 93 RBI in 162 games. He made his first career All-Star Game appearance and joined Dale Murphy (1982-85) and Andrew Jones (2005) as the only players in franchise history to win a Gold Glove and a Silver Slugger Award in the same season. Markakis became the first player in franchise history to record at least 35 doubles in four consecutive seasons. His 43 doubles ranked third in the National League. He was one of only two players in the Majors to start every game last season. 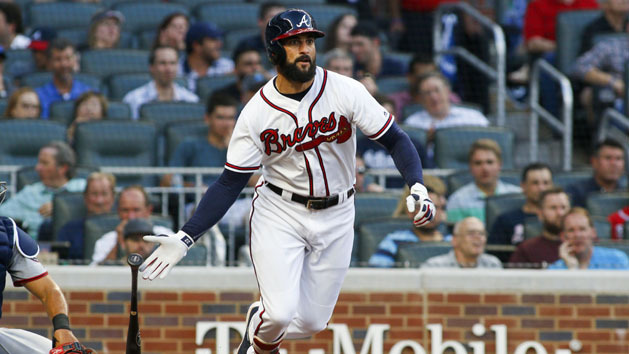 Markakis is expected to man right field again for the Braves, who finished in first place in the National League East last year. In addition to the return of Markakis, Atlanta has signed third baseman Josh Donaldson and catcher Brian McCann this offseason.